Event : The keel laying ceremony of The New Chao Phraya Tourist Boat’s passenger ferry. Khun Aphiwat Wutthinansurasit Chief Operating Officer of EA Mechanics presented a flower bouquet to congratulate with the owner of the new Chao Phraya Tourist Boat’s passenger ferry. 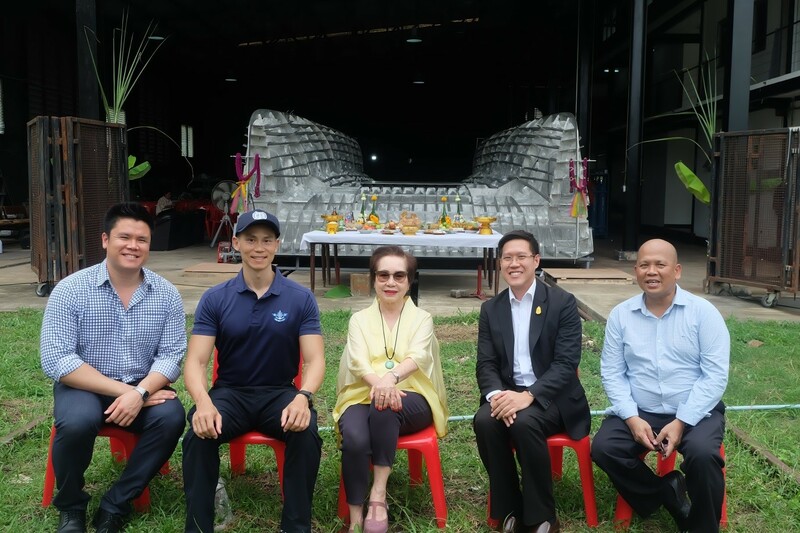 On Wednesday 18th, July 2018 – EA Mechanics was invited to attend the keel laying ceremony of the new Chao Phraya Tourist Boat’s passenger ferry at Chao Phraya Express Boat dockyard, Phra Nakhon Si Ayutthaya province. The keel laying ceremony hosted by Chao Phraya Tourist Boat Co., Ltd. and Chao Phraya Express Boat Co., Ltd., led by Khun Supapan Phichai Narong Songkhram, President of Chao Phraya Express Boat together with Khun Farn Sritrairatana Executive Director and Khun Charoenporn Charoentam, Managing Director as well as Khun Piriya Vachajitpan, Managing Director of Chao Phraya Tourist Boat, which the Buddhist ceremony aims to strengthen the prosperity of this shipbuilding. Executive management of Chao Phraya Express Boat and Chao Phraya Tourist Boat with EA Mechanics representative. EA Mechanics as Authorized Dealer Marine engines dealership of Scania Thailand, we were invited to attend this ceremony on the day. 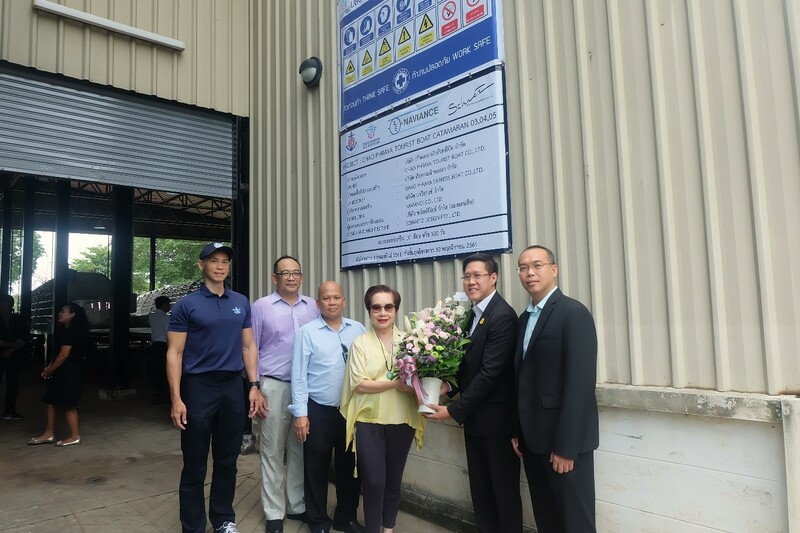 Khun Aphiwat Wutthinansurasit, Chief Operating Officer of EA Mechanics Co., Ltd. and team presented a flower bouquet to congratulate with the owner of the new Chao Phraya Tourist Boat’s passenger ferry. 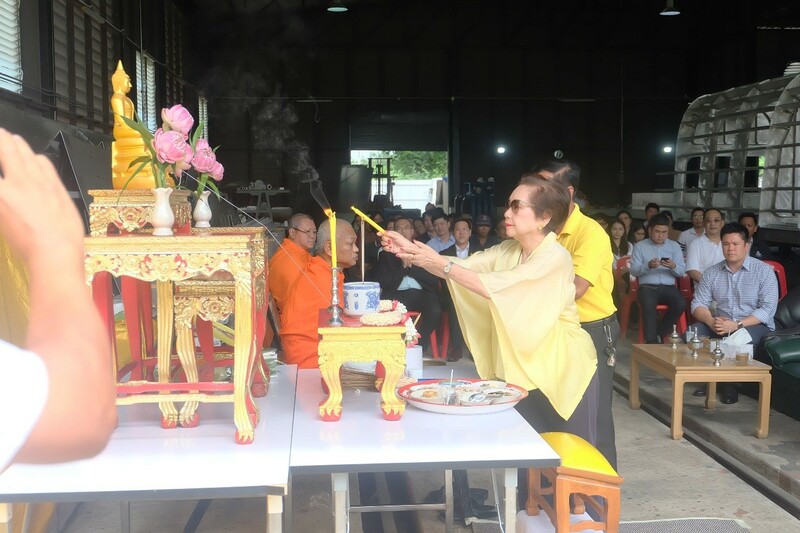 In this event, Khun Sathit Riyatanon, Aftersales Director of Scania Siam Co., Ltd. (Scania Thailand) has also participated during this ceremony. Executive of Chao Phraya Express Boat and Chao Phraya Tourist Boat warm welcoming EA Mechanics during ceremony. As EA Mechanics is one of equipment suppliers that Chao Phraya Tourist Boat selected and trust. We provide premium quality marine diesel engine Scania a model DI09 070M performed 257 kW. 350 hp. at 1800 rpm, with outstanding advantages of fuel saving and longer service interval maintenance comparing to existing engines used in their fleets. This meets the needs of customer. Scania marine engines are suitable for all applications, engines are developed for heavy duty operations, delivering impressive power, immediate response and the feeling of absolute trust and reliability. In addition, we have genuine spare parts available in stock and after sales service by qualified service staff through 10 Scania service centers in Thailand. Khun Supapan Phichai Narong Songkhram the President of Chao Phraya Express Boat, led the Buddhist keel laying ceremony. 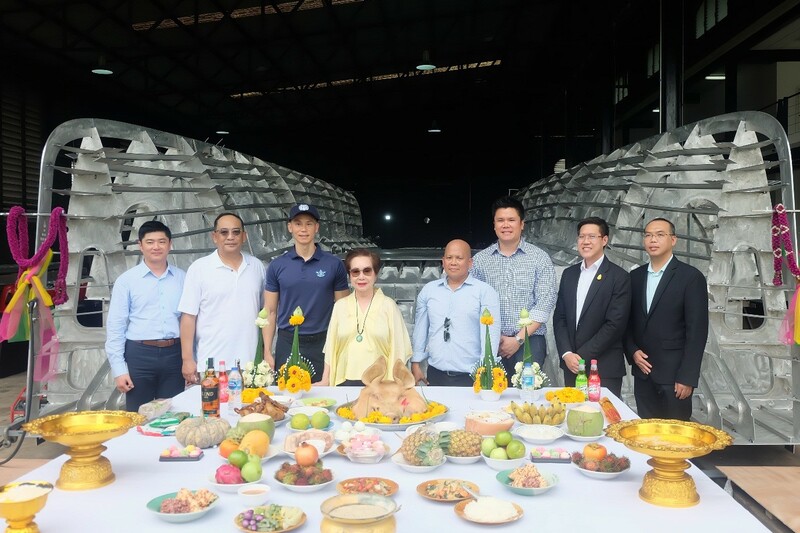 The keel laying ceremony of the new Chao Phraya Tourist Boat’s passenger ferry is the ceremonious recognition of the start of a boatbuilding. 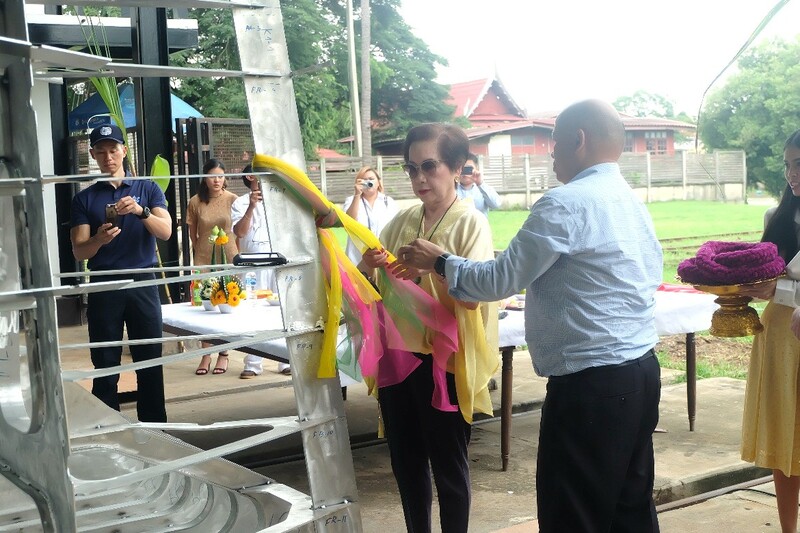 It is often marked with a ceremony attended by dignitaries from the shipbuilding company and the owners of the boat, the ceremony filled with distinguished guests; equipment supplier and shipbuilders come to congratulate the building of the boat. Keel laying ceremony is one of the all especially-celebrated occasions in the life of a boat; the others are launching, commissioning, and sea trial.